Ryan Lang is an artist we featured a while back for his work on Wreck-it-Ralph, but now that Big Hero 6 is out, which he also helped out on, it's time to take another look at his stuff. These images are part of Lang's contribution to the look and feel of the movie. 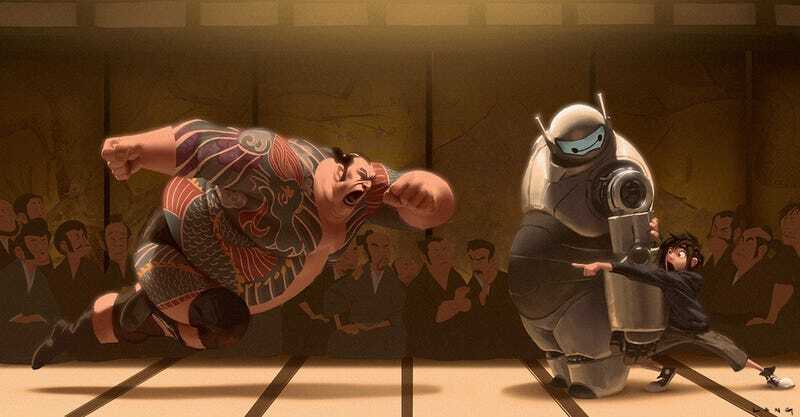 There are some interesting teases here for ideas that never made it into the movie, like a sumo battle and a Baymax armour design that's more Japanese than the final product. You can see more of Ryan's work at his ArtStation page.